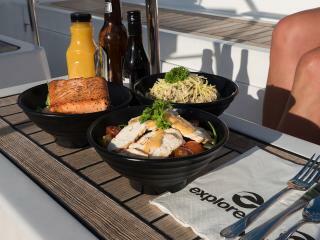 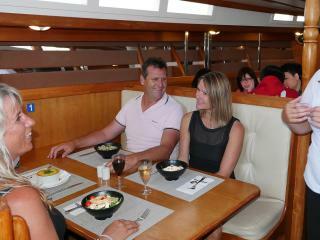 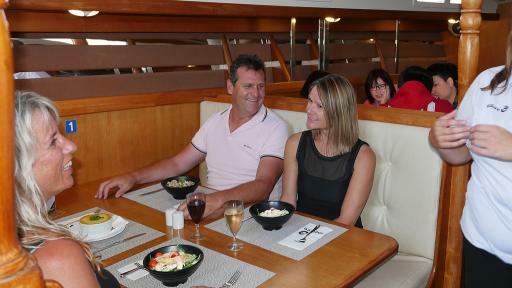 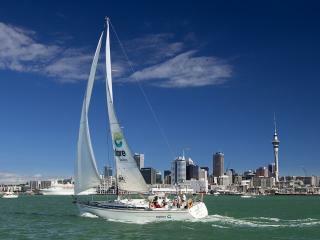 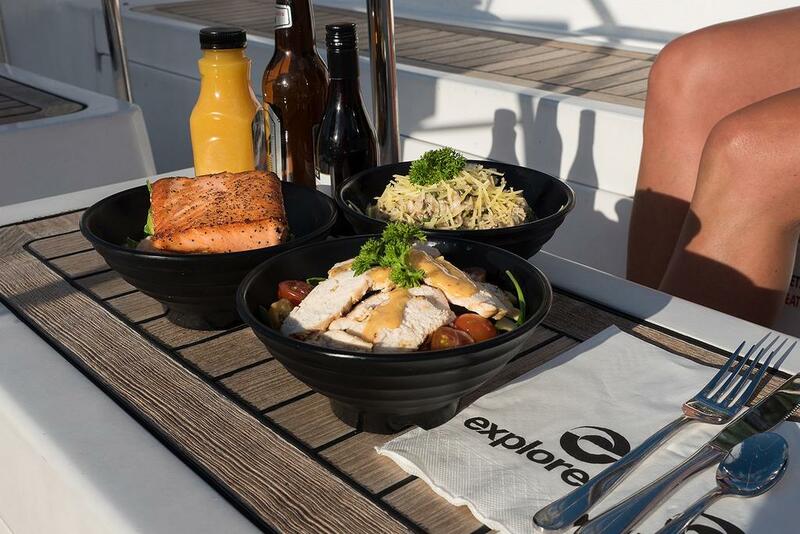 The only way to describe this Dinner Cruise of Auckland Harbour in New Zealand is - very romantic! 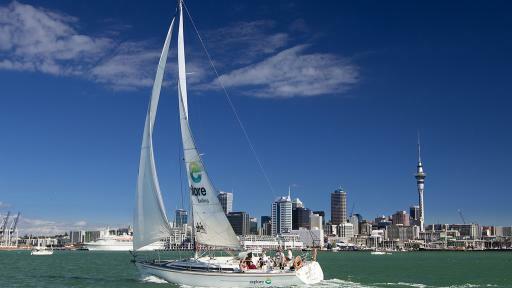 Watch the fairy-tale lights of Auckland city pass by, as Pride of Auckland offers a truly unique combination of sailing and dining, with a set 3 course meal and fully licensed bar on board. 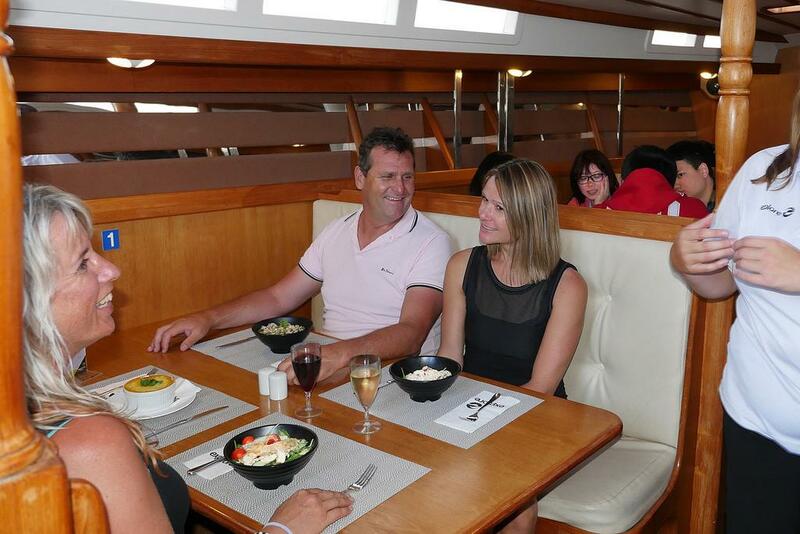 Enjoy the finest fresh produce in a calm and magnificent harbour setting. 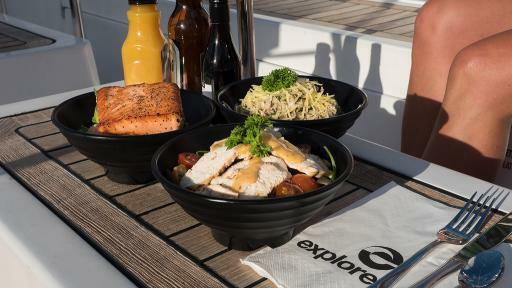 Your crew will be your hosts and serve your meal and ensure your comfort throughout the cruise. 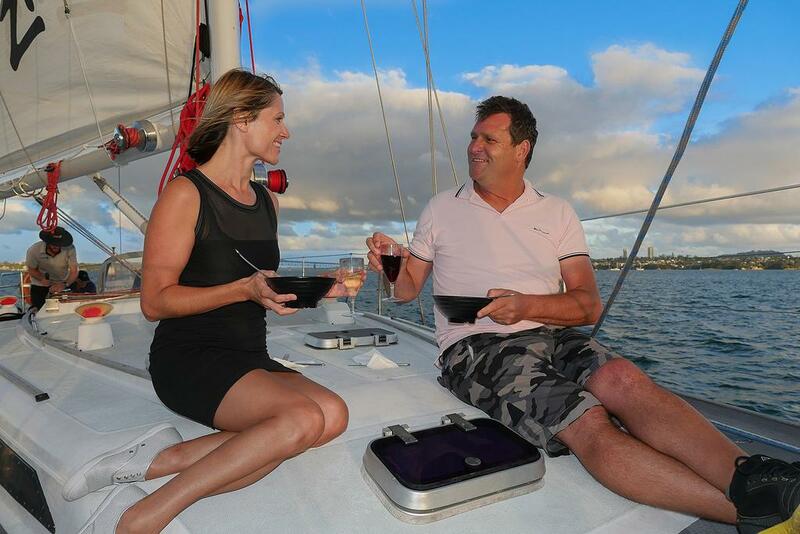 After dinner, the sails go up for an exhilarating sailing experience. 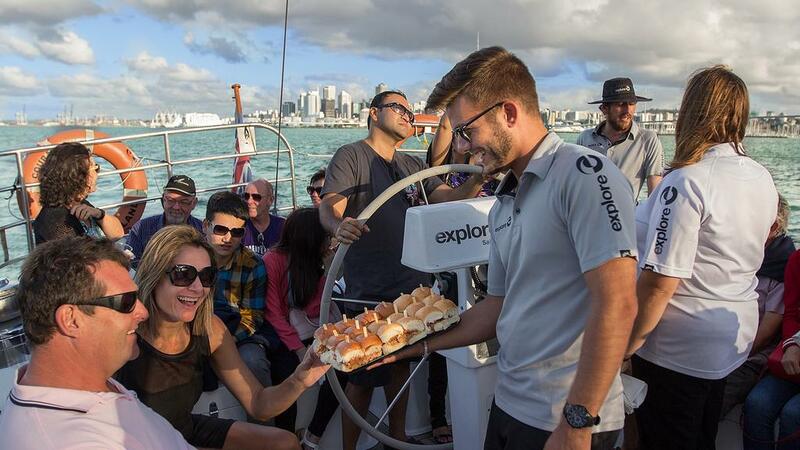 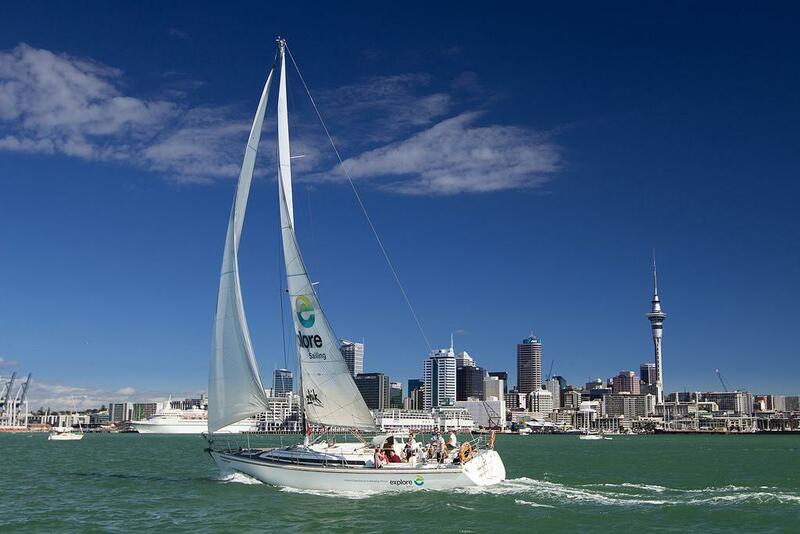 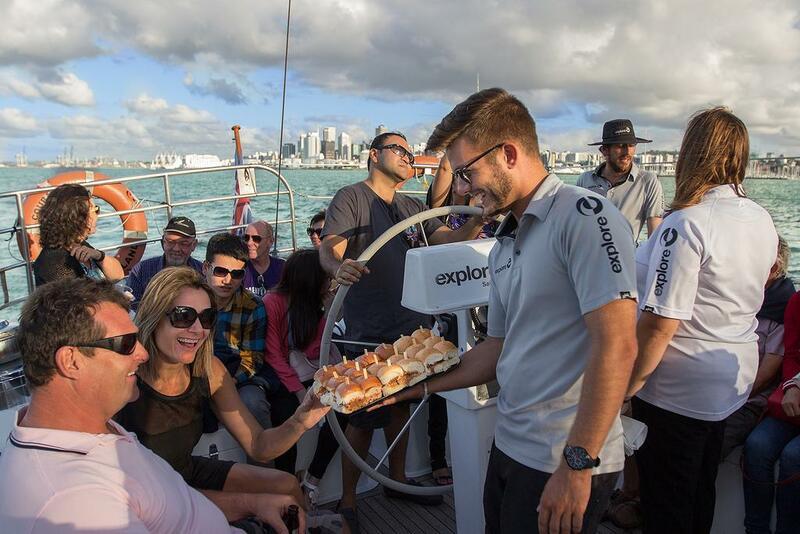 This tour is an excellent way to see Auckland from the water and is a definite 'must do' for every romantic on your next New Zealand holiday.